There is a large park for families between Chicco Village and the Toy Horse Museum. 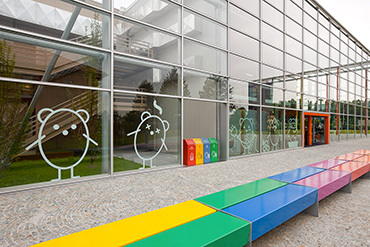 It features playground equipment for children and relax facilities for parents. 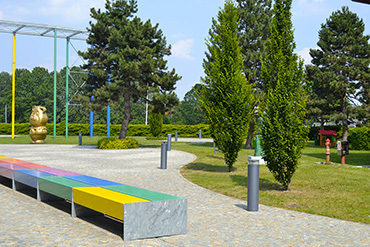 It is the garden of delights, a large outdoor space with a playground for children, an arena for theatrical productions, a large square where people can meet and comfortable benches where visitors can rest. Two large works by Marco Perego have been gracefully arranged to fit harmoniously into the garden. 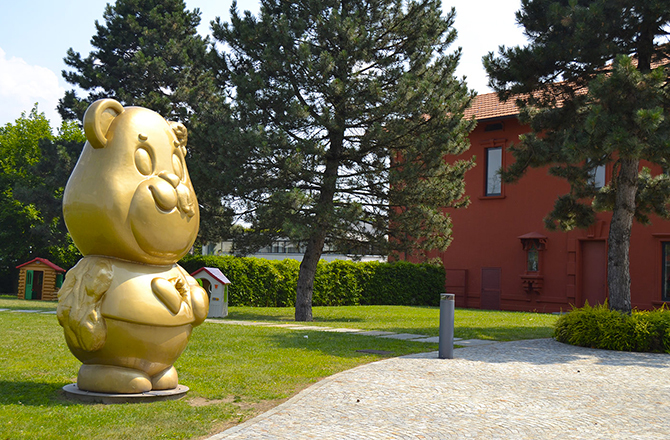 They are two monumental teddy bears that welcome visitors in the garden square and guide them to the Museum. They belong to the Devasted Land series in which the artist offers a narration of a pop and contemporary world teeming with comic book and game heroes for early childhood. Then there is Roberto, Europe's biggest rocking horse, that watches over the entire park. Five meters tall and seven meters long, Roberto was made in 2002 for Roberto Benigni's movie, Pinocchio . The Chicco Village in Grandate is a small Chicco city near the headquarters of the Artsana Group. 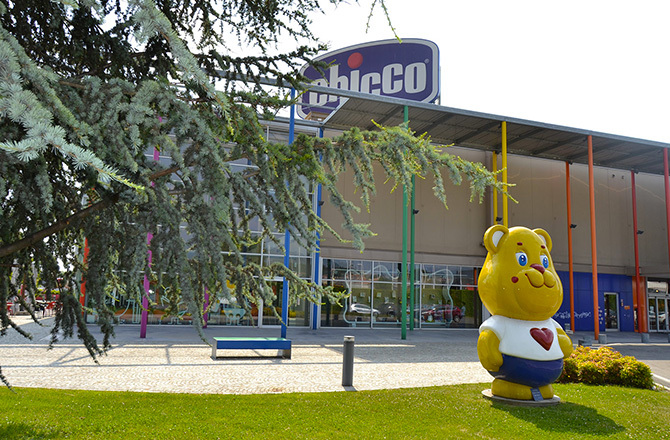 It comprises the Toy Horse Museum, the company's nursery called Villaggio dei Bambini, Europe's largest Chicco shop and the Garden of Delights. Chicco Village is the embodiment of an idea: that childhood, in all its forms, plays a central role. “Many years ago, I bought the former stables where Tornese was born. He was a several time world champion thoroughbred in the 1950s. I contributed to converting this place into an industrial complex, but over the years I came to feel guilty so after inaugurating the playground and the Toy Horse Museum I decided to give the finishing touch to this area with something that could help children and parents spend time together: our nursery, the Villaggio dei Bambini. Now I can say that we've created a genuine entertainment, educational and cultural centre. I'm sure that it will enhance and consolidate human relations within the Group and the local community that has been hosting us for years now." The architectural design perfectly blends the store's interior with the surrounding spaces and buildings. The interior of the main building hosts the showroom and sales point on the first floor. There is also an outlet and an Illy coffee point. On the next floor there is a huge play area where children can have fun while their parents are shopping. Chicco Village embodies Chicco's over 50 years of experience creating a unique place where growing up is a game and being a parent is a journey into happiness.